Arrival in Kathmandu at Tribhuvan International Airport, meet by our representative and transfer to hotel. Meeting and briefing about the program. Rest day at leisure. Overnight stay. 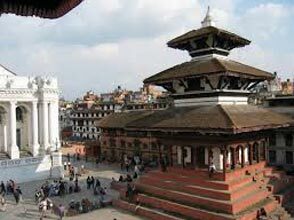 After breakfast, we begin the tour program with guided sightseeing tour of Pashupatinath, Budhanilkantha, Bouddhanath Stupa and Kathmandu Durbar Square. Overnight stay. Early morning, transfer to the airport for your flight to Jomsom. Receive by our representative in Jomsom & walk to Hotel. After breakfast, you have to walk about 15 minutes further to jeep station crossing Kali Gandaki bridge & then drive to Muktinath. Arrival in jeep station near Muktinath and walk 20 min further from jeep station to Muktinath Temple. Perform worship (puja) & darsan with taking holy bath in the sacred 108 water spouts surrounding the temple; Also a Jwalamai Darshan will be made. Then walk down upto Jeep station and drive back to Jomsom. Refresh in hotel & take lunch. Overnight stay. After breakfast, move to airport for your flight to Pokhara. Arrival in Pokhara and pick up by our representative & check in to the Hotel. 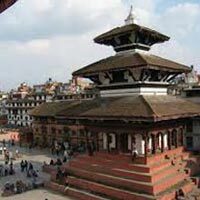 After lunch, guided sightseeing tour of Pokhara Valley – David’s Fall, Gupteswor Mahadev Cave, Bindabasini Temple, K. I. Singh Bridge and Barahi Temple with a boat ride on Fewa Lake. Overnight stay. Drive back to Kathmandu via Manakamana temple. Rest of the day is free for shopping and relaxation. Overnight stay.